We are Jean Chisholm and Janine Merkl, communication designers who put collaboration and creative exploration at the forefront of our design practice. We believe that design shifts thinking and supports behaviour change. Our goal is to think big and create purposeful solutions that will contribute to bettering our communities and the people in them. We are thrilled to share this project with you and hope that it inspires you to think about your hometown a little differently. 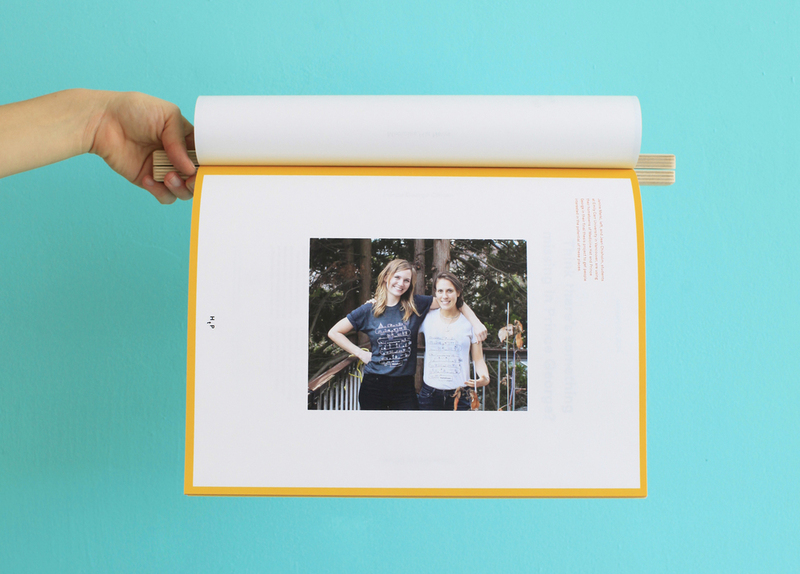 The Hometown Project was created as thesis project for Emily Carr University of Art + Design's 2014 graduating class. The project was exhibited during The Show, May 4-18, 2014. We are currently exploring how to move this project forward, and how to participate in additional exhibits. If you have any feedback or suggestions, please feel free to share them with us on our facebook page. Chancellor Award for Design Excellence. Copyright © 2014 Jean Chisholm & Janine Merkl.